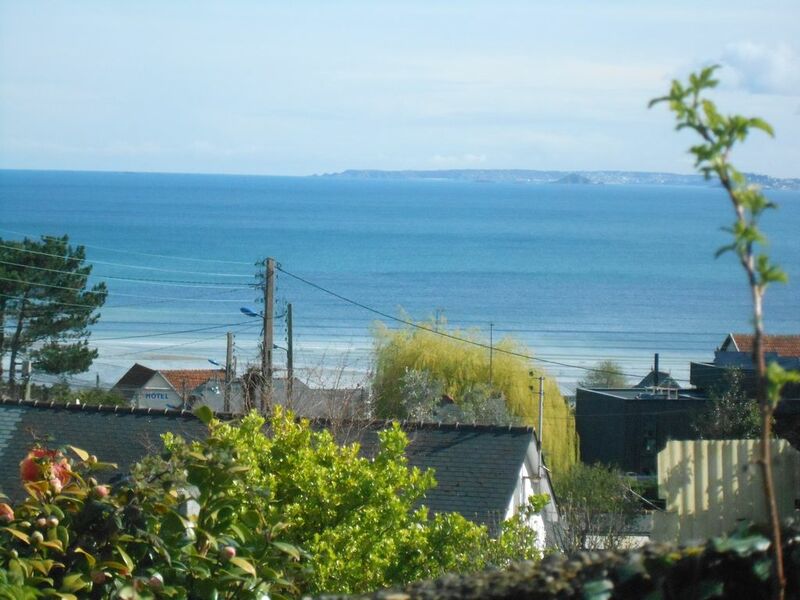 Charming cottage in Plérin: sea, bus and shops on foot! Come to discover and appreciate a small corner of Breton paradise in the bay of Saint-Brieuc for an authentic and peaceful stay! The cottage Tahiti-Les-Bleuets is a charming T2 apartment on the ground floor, in a post-war house renovated with taste, just 300 meters from the sea. It is located in the town of Plérin, in the hamlet of Saint-Laurent-de-la-Mer, a small coastal village with all shops nearby, and can accommodate 2 to 4 people. As on an island, once the suitcases are laid, you can do everything on foot (or bike, kayak, sand yachting, paddle, kite surf, boat ...). At the bottom of the street, you will enjoy the access to the beach of Bleuets, the GR34 hiking trail to make beautiful walks by the sea, and you can discover the small beach called Tahiti nearby. - Shops, small market on Tuesdays and Fridays, fishing and beach on foot! The owners, Céline and Damien, will welcome you with simplicity and courtesy from Saturday at 16:00 to the following Saturday at 10:00. Schedules, except school holidays, will be more variable: arrival from 14:00 and departure until noon. Your beds will be made, towels and washcloths at your disposal. Put down the suitcases and breathe!